HE teaches us something in every interaction, every failure and every disappointment. But if we do not learn our lesson, HE, like any good teacher, will continue to teach us, create more situations for us so that we can learn and become a better person. How fast we learn from our disappointments, is all up to us. God is in no hurry. It was the evening of 24th November, exactly 1 month to Christmas eve. Both my daughters have been demanding a pet for quite many months now. They were in no mood to give it up that evening. We debated on the pros and cons of having a pet at home, but ultimately they won, and I lost. The only consolation for me was that instead of a pet like Dog, which needs much more time and attention, we would go in for a caged pet. We first thought of rabbit but then decided in favor of guinea pigs. The D-Day was finalized as X-mas day. Santa will get the gift for them. In the bargain, children were required to commit to managing their books, copies, toys and any other belongings in a way that they are kept neatly and tidily all the time. Every day from 24th Nov to X-mas eve, they made sure that they kept their promise. They truly loved pets, otherwise this change in them was impossible to inculcate so fast. Strong goals can make you do impossible things, with finesse and ease. Of course, this was not going to be their first experience with pets. A few years back, we had a pair of birds - one of which died the first day, and we let the other fly immediately. We also kept a pair of gold fish in a small aquarium. This pair lasted around 6 months before one of them died, and my daughters could not see the dead body of the fish floating in the tank, and so we gave the other one back to the owner of the shop. Many years have passed since then. Finally, we got the pair of guinea pigs 2 days prior to Christmas. That night, on 23rd Dec, the kids were so excited. Both the pets were immensely cute, lovingly small and astonishingly beautiful - so much so that both me and my wife fell in love with them instantly. They must have been 3-4 months old. One of them was a pure white and the other one was a black, brown and white combination. Kids were in a different world. They fed them, arranged a cardboard bed for them in their cage, held them in their hands, played with them. The happiness on the faces of my children was truly priceless. The usually fighting sisters were working as a team and building strategies to finalise their names. Hubble-Bubble, Humpty-Dumpty, and many others...they discussed many names...They needed more time to shortlist and close on one of the names. They did not want to go sleeping that night and stay with their new family members, but since they had to go to school the next day, we had to push them on to their beds. 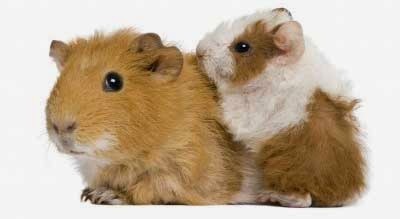 The next morning, one of the guinea pigs was fighting for its life. Something had happened to it. It was struggling to move its feet. We were all watching it very closely. The slow death seemed inevitable. After some time, it fell down, and was no more on its feet. Now, it could not even stand back up on its feet. The furry 0.5Kg body seemed too heavy for it to be lift it back on its feet. My daughters could not believe what was happening before their eyes. they were fearing the worse. The elder one thought that it might feel better if she lifts it back to its feet once. She made an attempt, but it fell again, rolling on the other side. It seemed to be losing energy every minute. It was slowly, but surely, going in the arms of death. My daughter tried again, but no difference. She was crying. All of us were. "We did not even celebrate their first birthday. X-mas is still 24 hours away. And it is already gone" she said sobbing immensely. We had to gather all our internal energies to, first control ourselves, and then empathize with our children. Somehow, we sent them to school that day. They had a X-mas party in their school that day, and they had planned to show the snaps of their new pet friends to their school friends. But all their enthusiasm was now dashed to dust. As we came back after dropping them to school, we picked up the dead body of the guinea pig and buried it at an appropriate place in the nearby park. We called up the pet shop owner and arranged to dispose off the cage and the other guinea pig back to him. We were not ready to bear the loss of another one- dying a painful death in front of our eyes. We came back after returning the guinea pig, and then both me and my wife, started thinking about the entire incident since yesterday. Our thoughts also rolled past into incidents when the bird and the fish died, and slowly, we understood why all this was happening with us. This was happening again and again with us, because God wants us to learn a lesson, and we have been somehow unwilling to. He has been wanting to tell us that all the beauty we see around in the nature is to be appreciated the way it exists. The moment we try to possess that beauty, we not only harm the beauty but also will not sustain our own happiness for long. HE first taught us with birds - we did not learn, HE, then taught us with fish - we did not learn, and now he taught us with guinea pigs. Even now, it is up to us whether we learn or not. But if we do not learn, then HE will try to teach us another time, whenever we make the same mistake again. HE is trying to tell us that a beautiful flower is beautiful in its natural surrounding only. The moment you pluck it to "possess" it as your own, you have destroyed its beauty, and you also cannot possess it for long. A simple lesson that we never learnt till now. We decided to learn it this time, and will try to teach it to our children as well. If they do not learn it this time, they will surely get another opportunity to learn. In the end, the dying pet incident has transformed us as human beings. GOD has proved to be a great teacher, and we, moderate learners. Transforming ourselves for the better is the biggest goal of our lives, because the moment we transform even by a fractional percentage, we just expanded our boundaries. This expansion of our boundaries is one of the truest sources of unlimited happiness.